"We've added the ability for third party apps to play background audio." "Now this is also Pride month. We're happy to introduce an all-new Pride edition watch band. 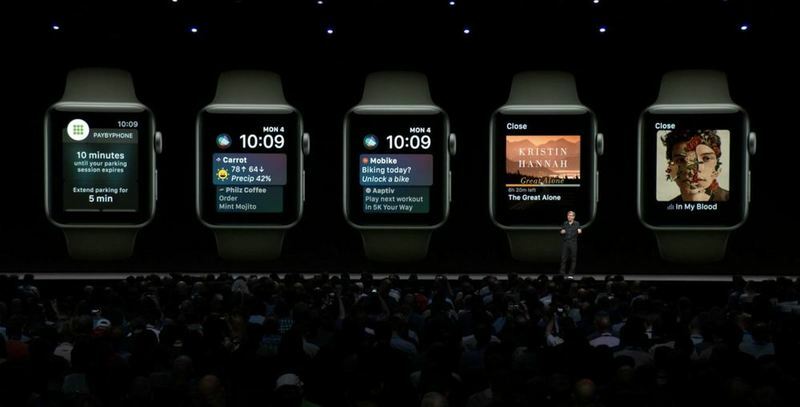 and a new watch face." They are rainbow striped. Available today. "Next up is Apple TV." 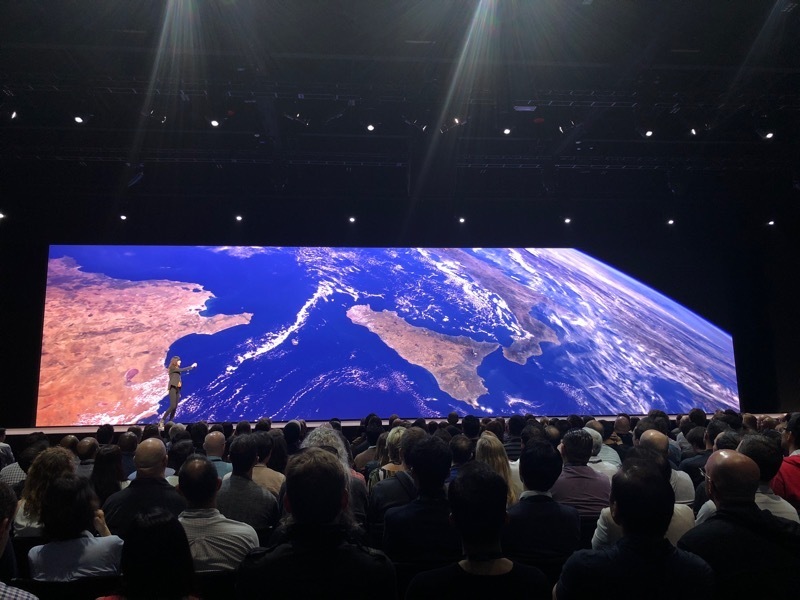 "Last September we introduced Apple TV 4K. 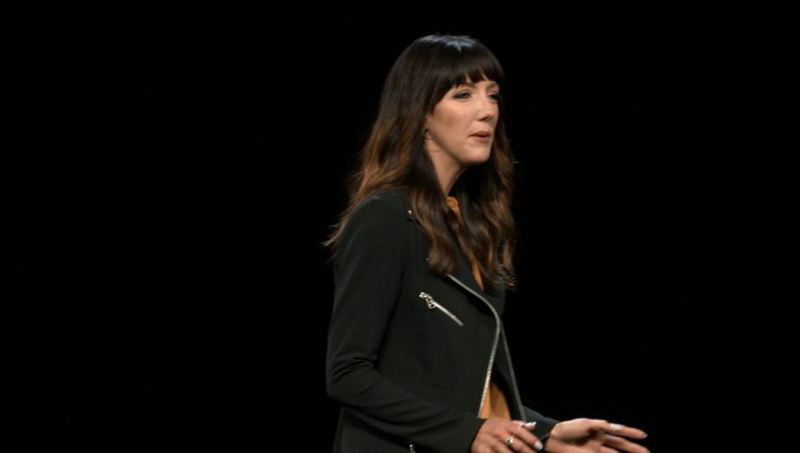 Since its introduction, the Apple TV business has grown an incredible 50%." Will we get subscription TV on Apple TV? "iTunes offers the largest collection of 4K HDR movies. And we've upgraded your previously purchased movies to 4K HDR for free." "We know what makes for an amazing cinematic experience is not just great picture quality. It's also incredible sound. 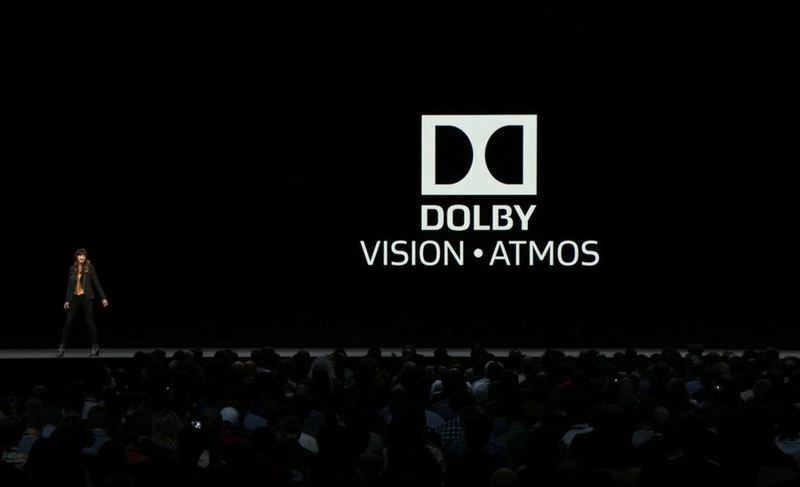 Apple 4K TV is bringing Dolby Atmos." A thunderous audio demo of Atmos just made the theater resonate. "With Dolby Atmos, you get room-filling sound. What makes Atmos special ... Dolby Atmos has the ability to completely immerse you." "It puts you right in the center of the action. All this with a home theater setup as simple as a Dolby Atmos enabled soundbar and an Apple 4K TV." "This fall iTunes will be bringing you the largest collection of Atmos content anywhere. Will upgrade previously purchased titles for free." "The Apple TV app is the center of your video experience. A single place to find and watch what you love." 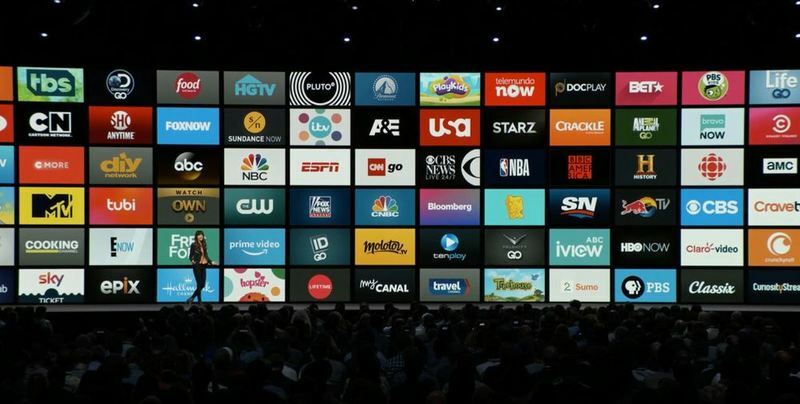 "the Apple TV app now offers a huge range of live sports. And we've added live news." "As more and more cable companies fundamentally shift how video gets to your TV, your typical cable box is becoming a thing of the past." "We've already started working with partners around the world to make this a reality. In France, working with Canal+. Subscribers can choose Apple TV to access more than 100 live channels." 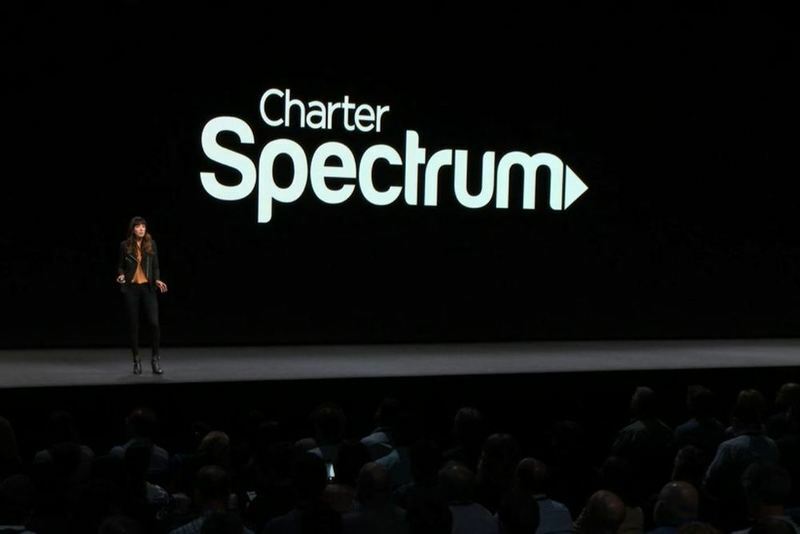 "Here in the US, Charter Spectrum will be coming to Apple TV later this year. Up to 50M home will be able to choose Apple TV" to access live TV. "With nearly any cable subscription, you can get access to channels. Used to be a pain to set up, to authenticate each app separately. 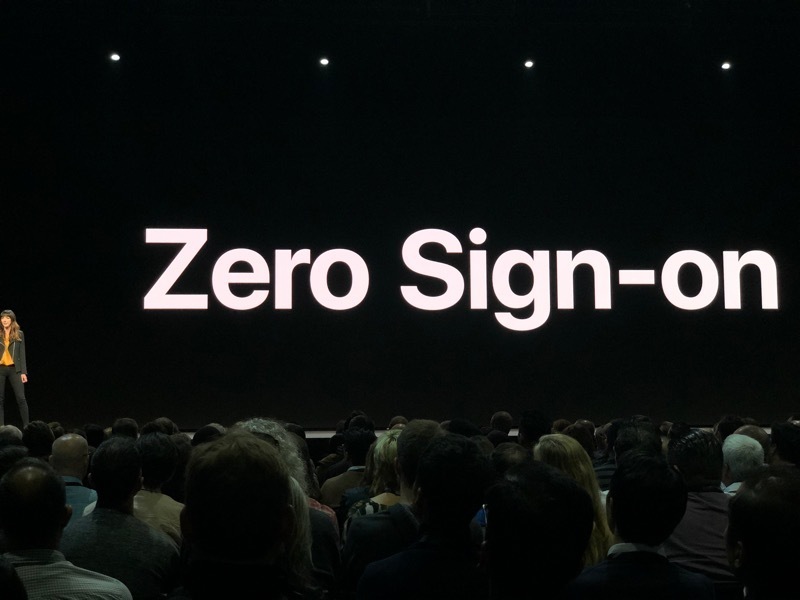 Last year we introduced single sign on." "Now we're making it even easier with Zero Sign-On." "Now if you're on your TV provider's broadband network, we'll securely unlock all of your apps associated with your TV service. Charter Spectrum will be the first to support." 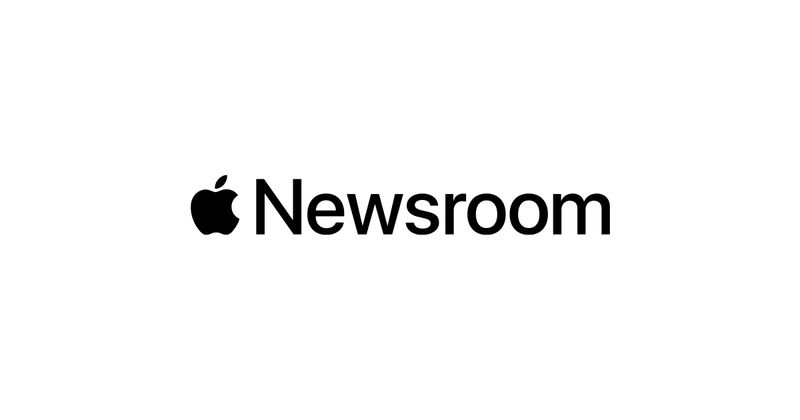 Apple NewsroomApple Newsroom is the source for news about Apple. Read press releases, get updates, watch video and download images. "Even more options to control Apple TV. On iPhone, will automatically be installed in control center."